With the boom of social media and web 2.0 marketing techniques, businesses have naturally shifted their marketing efforts to newer strategies. Social media gives your company a personality and lets you connect with your clients. Although things like social media can market your company very well, there are still some old school marketing techniques you can still try. Below are two great marketing methods that you might want to consider using. Who doesn’t like getting a good deal? Sending coupons or specials through email is a great way to attract sales. Having a standard design template for your emails will help people connect them with your brand. Sending out too many emails without good content will cause people not to read them anymore, so it’s important to have a pattern for sending. Your pattern should be based on how much you feel you can offer to your customers without them feeling overloaded. Direct mail is one of the oldest marketing tactics out there and it still works. 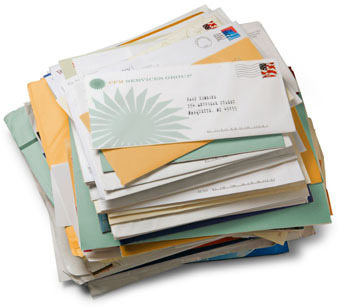 Direct mail is relatively inexpensive and can easily be tracked to see your return on investment. When designed well and aimed at the correct audience, direct mail can do a lot of good. A well designed direct mail piece gets attention. When sent to the right person, your message will not only be read, but it will get people to pick up the phone or go to your location. We’ve all seen mail from the new restaurant in town offering 10% the bill. Or how about those 20% coupons that Bed Bath and Beyond always sends out? By offering a coupon through direct mail, you entice people to come visit your location. One of the best parts about direct mail is that you can target a very specific group of people. Mailing lists are broken down by demographic, age, profession, or geographic area, so you can be sure that your message is getting sent to the right people. ACF personally uses both of these marketing methods and has seen great results. Want to get started marketing through emails or direct mail? Call to speak to one of our representatives and see how we can help you.